Tom Kidera, a partner in Orrick's New York office, is a member the firm's Complex Litigation and Dispute Resolution group. He represents auditing firms, financial institutions, and energy and infrastructure companies in complex commercial litigation, internal investigations, and regulatory enforcement actions. Tom has represented clients in federal appeals court, federal district court, and numerous state courts throughout the United States at every stage of litigation from preliminary investigation through trial and appeals. He has substantial experience in RMBS-related matters representing issuers and mortgage loan servicers in an array of litigations from securities fraud and loan repurchase disputes to ERISA and consumer class actions, also consulting and advising on the interpretation of securitization documents and servicer events of default. In addition, Tom has significant internal investigation experience, representing the Big Four (member firms and individual auditors) in several regulatory investigations and proceedings initiated by the SEC and the PCAOB. Tom is also a member of the Orrick team representing Hemlock Semiconductor (a leading producer of solar-grade polycrystalline silicon) in commercial proceedings throughout the U.S. and around the globe, and previously represented PriceWaterhouseCoopers LLP in a high-profile jury trial in New York State court. 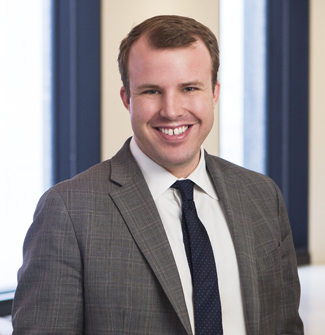 Tom maintains an active pro bono practice representing U.S. veterans seeking discharge status upgrades and is active in firm recruiting efforts, serving on the hiring and summer program committees in New York. He was a summer associate in the firm’s New York office in 2009.